Want to watch the Cleveland Cavaliers Online but don't have cable? There are plenty of legal Cavaliers live stream options out there. View the guide here. The King is out, but the reign remains in the east with Kevin Love and up-and-coming rookie Collin Sexton defining the Cavs’ new offensive strategy. It’s make it or break it for Cleveland this year to prove that one man does not make an entire team. If you’re searching for a place to help you watch some Cleveland Cavalier basketball—look no further. We’ve got the best picks ready so you can watch the Cavs rise or fall. For all the local fans out there, FOX Sports Ohio is where it’s at for all things Cavs. For everyone else, you’ll have to be on the lookout for TNT and NBA TV whenever a Cavs game is televised nationally. Now that we know what we’re dealing with, let’s start picking some of these services apart. That way, you can decide what stands out as all-star material for your needs. If you’ve relied on cable because people told you it was the best around, YouTube TV is going to be a breath of fresh air. It gives you all the channels you need to watch the Cavaliers, plus some juicy perks that will make watching the action even easier. You might even say this service is the new . . . king. Heh. YouTube TV is all about being mobile and affordable. YouTube TV comes in at $40 a month, which is pretty standard for streaming services, but this one packs some extra perks. We know you’re familiar with the magic that is DVR, but we’re talking levels of DVR magic that would make Magic Johnson jealous (sorry, we know y’all are trying to forget about the Lakers)—namely, unlimited DVR storage. Really though, YouTube TV uses cloud-based storage systems so you’ll be free to record an entire season of Cav basketball if you’d like. You’ll have nine months to watch it though, or else… your shows will be deleted. Unfortunately, YouTube TV may not carry service in your area.You’ll have to find out for yourself and see if you can get it. Just head on over to the YouTube TV homepage and click on the Try It Free button. This little adventure will let you know what is and isn’t available for you to watch. DISH’s America’s Top 200 package is all about being the biggest option on the court. The largest channel library around may be what some fans need, so then there’s always something to watch once the fourth-quarter buzzer goes off. DISH comes in at a whopping $79.99 per month, making it the most expensive option on our list. On top of all that, you’ll also need to sign a two-year contract with DISH, and we can already tell you’re trying to scroll away from this option. We gave you the bad news first, but now comes the good news. America’s Top 200 offers over 240 channels—which is triple the amount of channels YouTube TV has to offer—and thousands of on-demand content hours just because they can. So you’ll have all the Cav content you need and much, much, more. Satellite TV isn’t for everyone, but if your budget is stable enough to sign up, we think that DISH is one of the best options on this list for its picture reliability (you don’t have to worry about internet speeds to watch the game) and its excellent local channel coverage. The only reason DISH isn’t in first place is because of its price and contract. But once you see the amount of content you’re getting, you may have a place to call Cav country. For those of you who don’t have access to FOX Sports Ohio, you may feel like none of these options will help you watch a single Kevin Love lay-up. Well, that’s where NBA League Pass comes in. This service was made for those of you who don’t live in Ohio but are Cav fans until death. NBA Team Pass lets you choose one team to watch for an entire season and gets you all non-nationally televised out-of-market games. Unfortunately, that means that you won’t get any nationally televised games that are broadcast on ESPN, ABC, or TNT. But you’ll be able to watch almost everything happening with the Cavs as long as you live outside of FOX Sports Ohio’s market. We know that $119 a season may seem like a lot, but you can choose to pay the price off monthly too. $17.99 a month is a bit easier to swallow, and considering the amount of games and post-game coverage you’ll be getting every night, NBA League Pass is practically a courtside season ticket from the comfort of your own living room. NBA League Pass is a solid service, but it’s at the bottom of our list because it’s just really not for everyone. This solution isn’t for fans who live in FOX Sports Ohio boundaries, fans looking for more than just basketball, or fans who have a weak internet connection. This is for the Cavs fan starving in Celtics or (dare we say) Laker country. 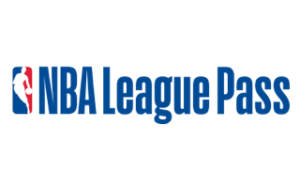 For those fans, we salute you and offer you a possible oasis in NBA League Pass. Kevin Love is looking to prove himself as a leader, and rookies are looking to make their mark in the game. Don’t miss a free throw or dunk this Cleveland Cavalier season.